DevBlog 121 / Let the contest begin! Before we get to our Gamescom experience, we have a quick announcement to share. 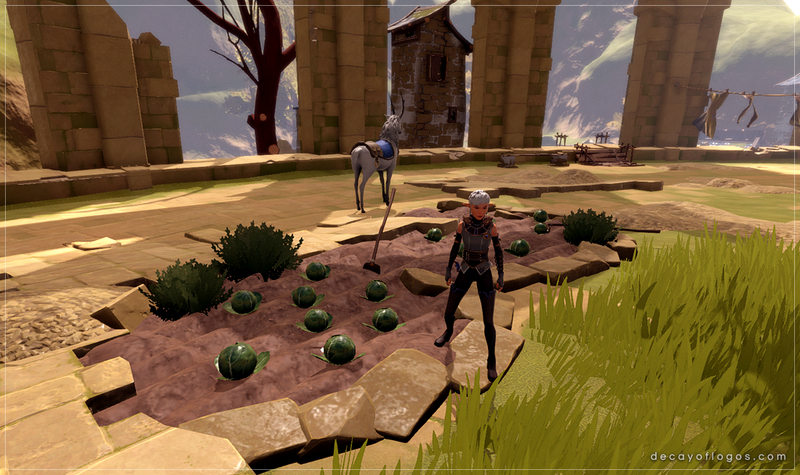 The world of Decay of Logos is a dangerous one with unfamiliar and hostile creatures lurking in the lands. If you’re looking for a bit more protection on your travels, you’ll want to bring your shield. With the Decay of Logos Design A Shield Competition you really can bring YOUR shield! 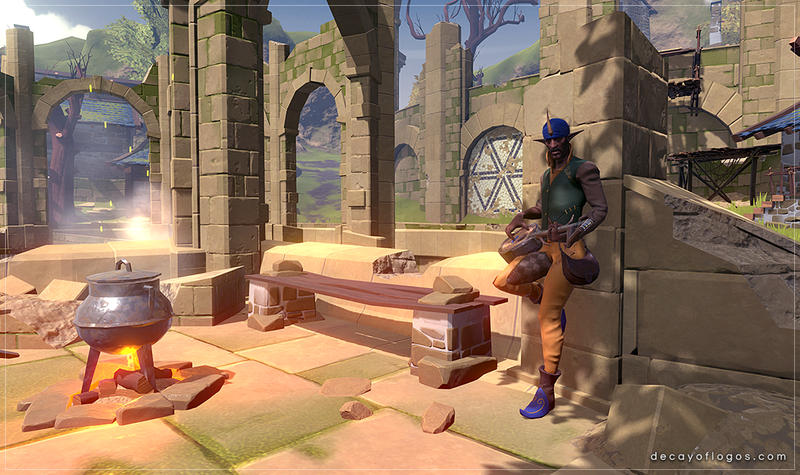 We invited the community to submit their design for a chance to be featured in the game. Two brand new designs will be added to the game inspired by your concept art. The first winner will be chosen by Amplify Creations as their favorite design. A second winner will be chosen by the community! We should point out that we are not looking for actual game assets, all entries must be submitted in image form. All designs submitted before 14th September 2018 will be uploaded into an armory-like album on the Decay of Logos Facebook page where everyone can view the designs and vote for the shield they’d like to hide behind when dueling formidable foes like The Lumberjack giants! It’s as simple as slaying a chomper! Just submit your shield design as an image to the Decay of Logos Facebook page with #DesignAShieldCompetition, use twitter @DecayofLogos or @RisingStarGames with the #DecayofLogos and #DesignAShieldCompetition hashtag. Alternatively, you can also send your entry directly to info@decayoflogos.com – we’ll add it to the official album for you. Winners will be announced on the 25th September 2018 via the Decay of Logos Facebook page and Twitter. Perhaps an epic name and some flavor text for your shield would be nice to let us know from what depths your shield has been forged! Winners will be asked for their name (to be credited), suggestions for lore and their inspiration behind the design after the competition. If you would also like your signature engraved on the back of the shield, we would be happy to add it! Sure, go nuts! 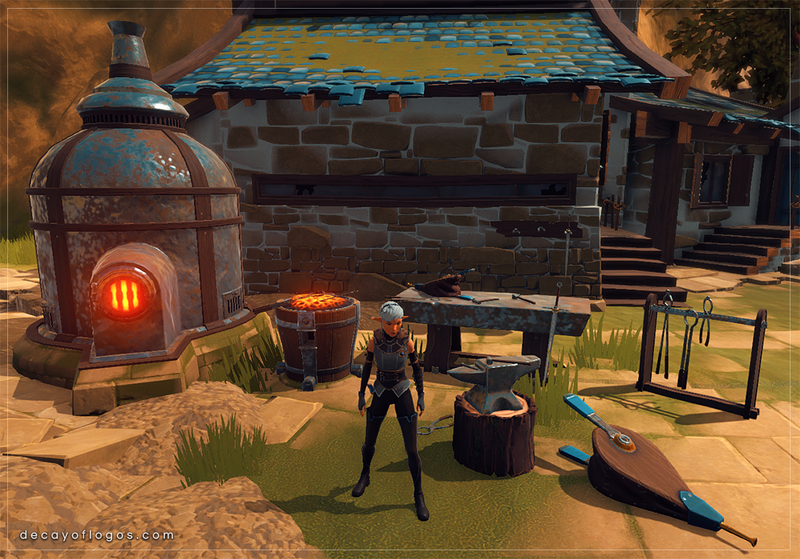 Just keep in mind the shield must fit within a fantasy universe and weldable in one hand by our adventurer. 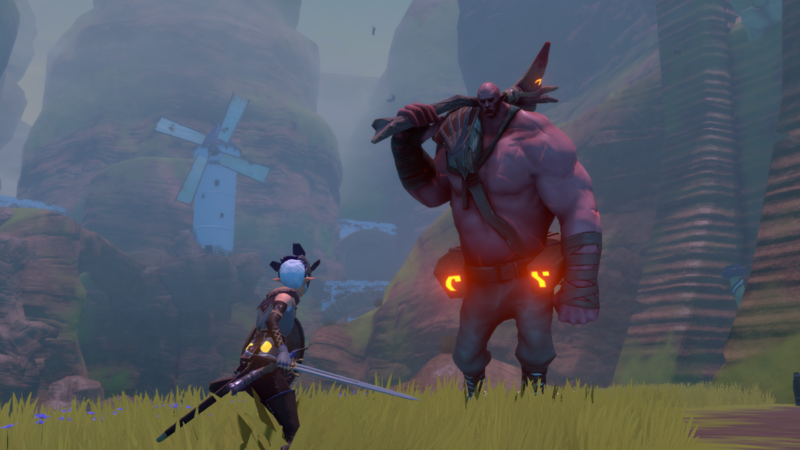 We have existing shield shapes in the game that would make good foundations for your design. These are: heater, round, wankel, kite and buckler. 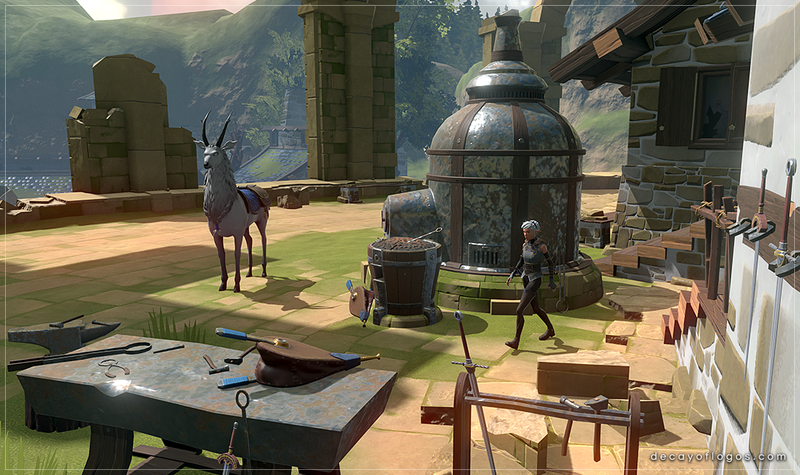 If you are more adept at bringing your creations to life in 3D, by all means get sculpting! However all submissions must be uploaded and presented as flat images. Post your questions here, at the Rising Star Games or the Decay of Logos Facebook page and they will be swiftly be answered. Furthermore, please check the competition’s Terms and Conditions. All of us at Amplify Creations and Rising Star Games are very excited to see what designs you come up with. 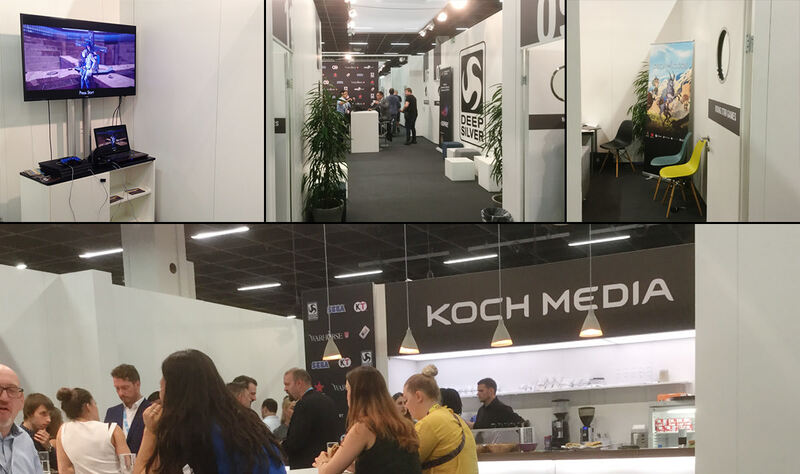 Now, regarding our gamescom experience, we had an excellent time at the Koch Media booth with Rising Star Games and Thunderful! It was truly exciting, we had non-stop interviews and press hands-on with the PC, Switch and PS4 versions of Decay of Logos! Unfortunately, we weren’t able to take the XBox One Kit, but it’s on par with the PS4 version. We definitely had a blast, it was a bit overwhelming to be surrounded by giants and we wish we had a chance to try each and every one of them! We’ll see you guys next week, good luck to all who participate in our contest and thank you for reading! 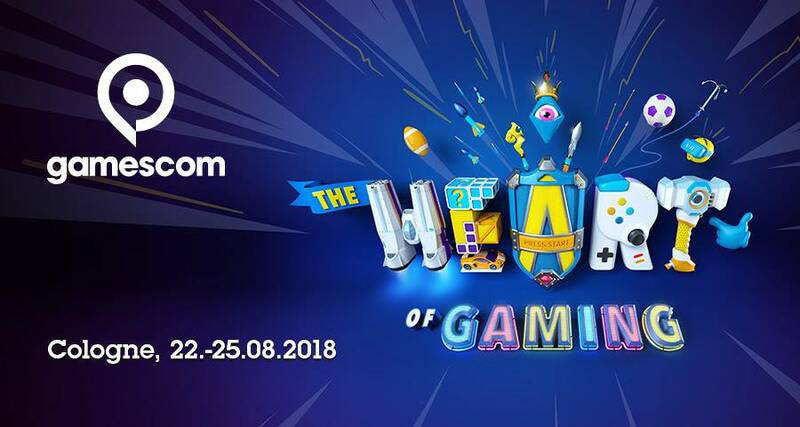 This entry was posted in Dev Blog and tagged Contest, gamescom on August 31, 2018 by admin. DevBlog 118 / A new hope? These include clothes drying poles, swings, pottery and more, some of which will appear as you progress through the game. 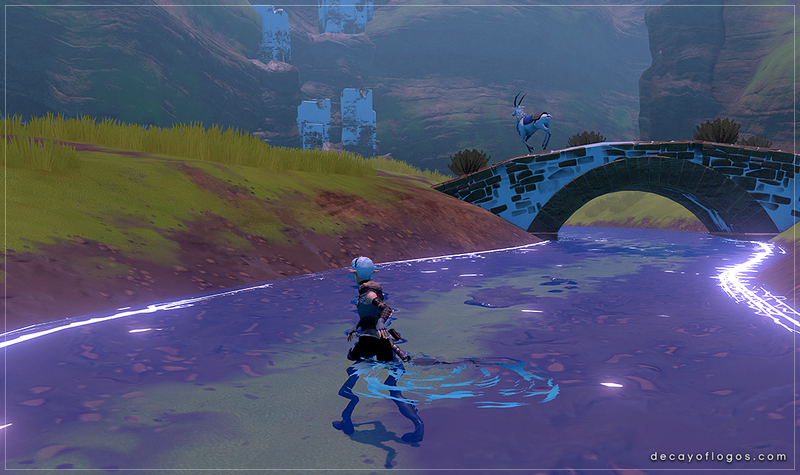 The hamlet will reflect the protagonist’s actions, be it the outcome of a great battle or some other event that took place in a different area, and every time you return you’ll notice that certain changes took place. Could these be signs that life might eventually go back to normal, and that peace will take the place of war? Who knows what may lie inside? All of the dungeons, or Arx, have been finished and might still undergo a few tweaks in order to make them even more interesting, such as improved enemy placement or even ambushes. Also, some of the new combat animations and movements were polished, and we’ll keep play testing and tweaking them throughout the next week. On the more technical side, as the time for furthering the development of the console ports draws near, we’ve redone the input system, in order to allow for more flexibility when integrating with other platforms. That is all for this week, see you next Friday! This entry was posted in Animation, Dev Blog, Gameplay, Level Design, Programming, WIP and tagged 3D, Animation, Gameplay, Showcase, Technical, WIP on August 10, 2018 by admin.